Few small family-owned stores can say they survived the rise of big box stores. But that is exactly what Wolfe’s in Topeka has done. 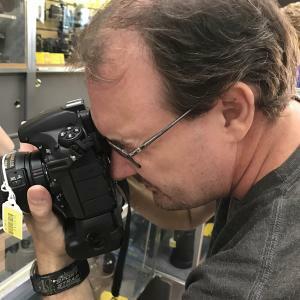 Specializing in cameras, camcorders and computers, Wolfe’s has one of the largest selections of camera equipment in the Midwest. The nearest store of its size is in Indianapolis. Celebrate their business anniversary in October. Mike Worswick, CEO and second-generation family member of founder Harold Wolfe, said Wolfe’s is the first with new things, but also the last to give up on stocking old favorites. Worswick said Wolfe’s still carries bulbs for 70-year-old projectors. Additionally, they offer individual, private photography lessons by appointment. These lessons aren’t standard, instructors listen to what aspiring photographers want to know and teach students just that, no standard-one-size-fits-all instruction. If you&apos;re a camera hound, don&apos;t leave Topeka without chatting up the friendly, knowledgeable and service-focused team at Wolfe’s. Amateur photogs visiting Topeka, and of course locals, flock to the shop. Wolfe&apos;s can even meet your printing, enlargement, lamination or matting needs. They carry more than 1,000 varieties of ready-made and custom-made frames. Additionally, Wolfe’s has hundreds of custom album and scrapbook supplies.